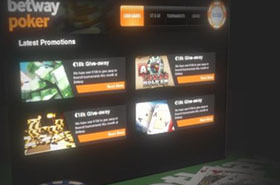 Titanbet Poker is one of the leading websites, where you can have ultimate fun. You will experience the true action of real poker games. Gamblers can thrill themselves by playing different exciting tournaments and cash games, such as Texas Hold’em, Omaha Poker and many other varieties. The website is regulated and licensed by the English poker room on iPoker Network, which means that the website is absolutely legal and provides safe and fair gaming. Titanbet Poker is powered by Playtech, which is the most famous software provider. You can download the online platform or you can play instantly by using the Flash version. It is absolutely virus-free, bug-free, clean and you can easily see any option. Titanbet Poker loves to make its customers happy. This is why the website offers a great new promotion, which will help you increase your bankroll on weekly basis. You can take advantage of the Ultimate Rakeback promotion. The bonus is based on the Titanbet Points, which you receive weekly. For 100 points, the website will give you €1. The more you play, the more you will get and the best part is that there is no limit. It is really easy to benefit from the promotional offering. You can opt-in the bonus by clicking on the Cashier button, which is at the right corner of the bottom, then select the Promo code tab. After that you need to enter the code RBWEEKLY and are able to start climbing the Ultimate Rakeback leader. You should receive as many points as you can, while you are playing at the poker tables at Titanbet. It is important to remember that you will not be earning Club Points, if you participate in the Ultimate Rackback promotion. The points are generated during one calendar week, consisting of all the gaming from Monday to Sunday. In order to be eligible to participate in the bonus, you need to be at least at VIP Amethyst Level. If you are downgraded to Topaz Level (VIP 1) at the beginning of the month, you will be opt out of the bonus. When these gamblers are upgraded back to Amethyst Level (VIP 2), will be ale to join back in the promotion. You will receive the cash benefits every Monday, but a 48 hours delay may be possible. You have seven days to use the cash, otherwise the payment will expire. Points from VIP tournaments are not counted for the bonus. Players who opt-in for the promotion, will no longer collect Club Points, but they are able to benefit from all other VIP awards. You can convert Club Points in order to opt into Ultimate Rakeback. 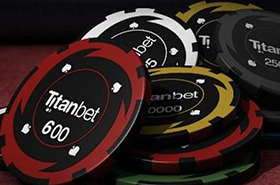 Titanbet Poker is entitled to change or end the promotion for any reason at any time and its decisions are final. The promotion is available for UK players over 18 years old.